Introducing the space efficient mono-box shape, the original Espace of 1984 brought to the motoring lexicon the three-letter acronym MPV - Multi Purpose Vehicle. 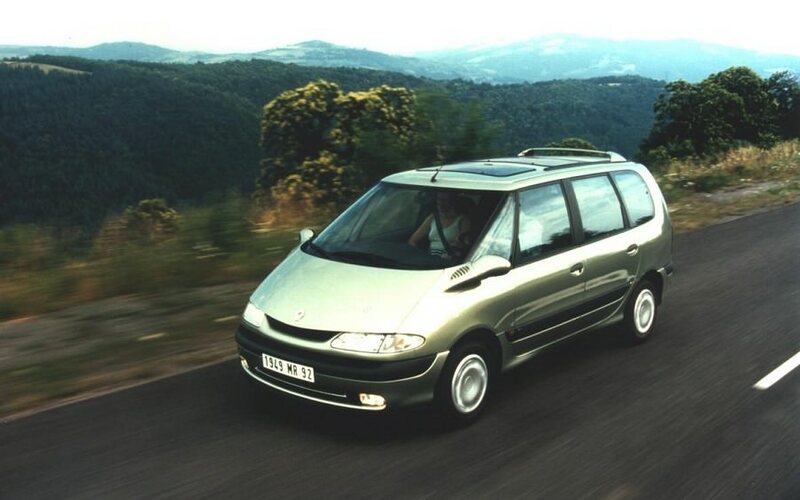 Few vehicles can genuinely stake claim to inventing a class of car, but the Espace is one such machine. Introducing the space efficient mono-box shape, the original Espace of 1984 brought to the motoring lexicon the three-letter acronym MPV - Multi Purpose Vehicle. For a long time the Espace set the standard in the segment by providing spacious, comfortable transportation for families wanting something different from estate, saloon and hatchbacks previously on offer. The ‘Multi Purpose’ element might really have only related to space - even if, with all the seats in use, the boot isn’t much use - but the Espace’s legacy is obvious in every car showroom around the globe. Criticisms of the regular Espace’s seven-seat layout lacking in boot space saw Renault introduce the Grand Espace a year or so after the standard version’s release. It added a longer rear for greater luggage room. In it, like its non-Grand version, the individual rear seats can slide or fold, though unlike many rivals the rear most set don’t fold away completely into the boot floor when not in use.